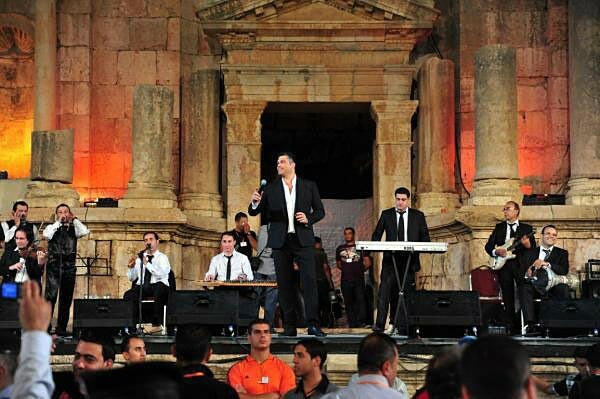 It has been four years since the last Jerash festival, as a decision was made back then to suspend it and replace it with a festival called the Jordan Festival that had very modest success! 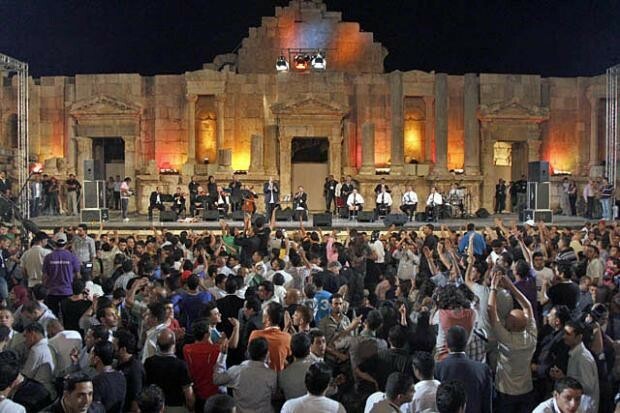 Therefore this year, the people rallied to bring back the Jerash Festival, so the government suspended the Jordan Festival and brought back the Jerash Festival as it was brought back by popular demand. The Jerash Festival started in 1981, and soon became one of the most important festivals in theMiddle East, if not the most important! Some of the most prominent Arab artists in theMiddle Eastactually got their break here as they started their careers on the Jerash stages. 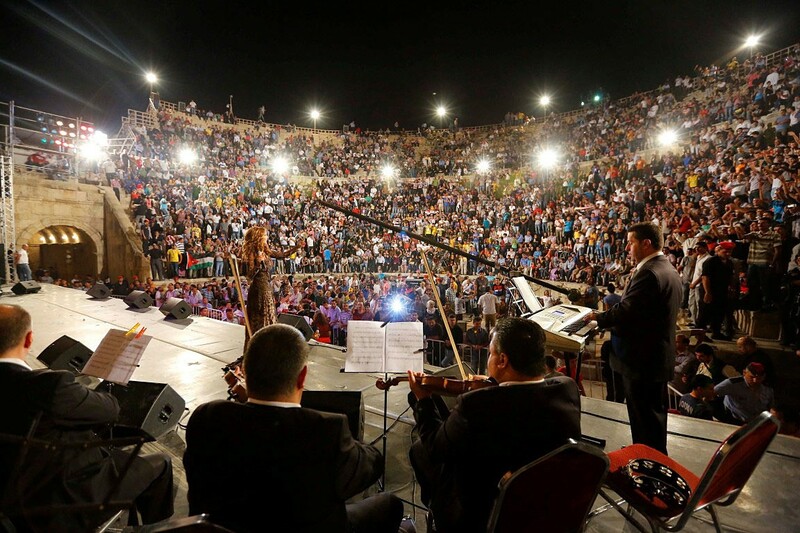 This year our sister company Triad Live Productions was awarded the task of providing sound for the two main stages at the Jerash Festival, namely the main southern roman amphitheatre and the northern amphitheatre. These are the two main venues in the ancient city ofJerash. The opening was on the 20th of July, and each night for eleven nights saw the two stages holding performances from famous Arab artists such as Omar Khairat, George Wassouf, Najwa Karam, Nabil Shuail, Milhem Barakat, Anana to a number of multi-cultural performances from all around the world. The festival was a huge success! The main stage namely the southern amphitheater accommodates up to 7000 people, this was powered by just one flown VHD2.0 and one VHD1.0 down fill per side along with one ES1.0 for the lower area, along with four VHD4.18 and two ES2.6 subwoofers per side. Fourteen EX12 stage monitors were provided for this stage. The second stage namely the northern amphitheater with its’ seating capacity of 2000 people had two ES1.0 along with four ES2.6 subwoofers per side. Naturally, we are living in a world were Line Arrays are ruling the hearts and minds of a lot of people, as I must admit that many sound engineers when they first saw this comparatively “modest” setup, the very first comment is always “we need more speakers!” or “we need more coverage!”. However, results were amazing, as all engineers who were skeptical at first about KV2, clearly were astonished by the delivery of these mighty systems! However, I must say, that gets to you after a while, as you always feel the need to educate people and sound engineers in particular about KV2 point source systems, and this is the reason I am writing this, as I hope more and more engineers will try these wonderful systems, and would have a good listen without prejudice, as I (who admittedly were an advocate of line arrays in the past) feel KV2 point source systems are operating on a completely different plane than any line array system out there.